Then—I am setting out to pay my friend Gina a visit! (Chats with an old lady! )….and then I’ve got to head in to work. . . .all I can say at this point…girl–I am glad Friday finally arrived! 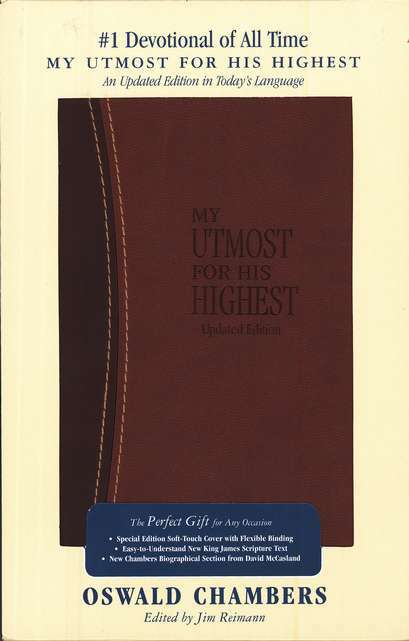 I did my devotions in my Oswald Chambers “My Utmost for His Highest”…for this week. I put a couple of them online. I cannot begin to tell you how the Lord has affected my life by what I have read! One thing I want to share from the 7th of January. I have been chewing on this—it is speaking to place in my heart where I need it. “Intimate with Jesus” is the title of the day. Oswald makes a statement that really blew me away. An unhindered way in each of our lives is exactly what Christ Jesus wants from each heart! By giving Him full control—we are allowing Him to fully show up and as Beth Moore frequently says, “show off” in our lives! 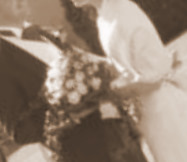 Having an intimate relationship with Jesus Christ—as His Bride reminds me of the way we were (Jeff and me) as newlyweds. Constantly thinking of things to delight the other. Wanting to spend every single minute together. Since he worked off-shore then, time was extremely valuable to us! (Still is!) Christ wants us to long for Him as we do the love of our lives! He is, in fact, the Only One who is the purest Love. He is “Love”. Have you ever thought of the relationship with Jesus as His Bride? That is something I have thought of many times over the past few months. I desire a spotless gown! Pristine White! I am determined to do all I can—everything—and everywhere He leads! One thing I discovered in my book vs. the book depicted in the picture. Mine is from the original text of Mr. Chambers. The old way of speaking. It takes a bit more chewing sometimes. The one I found on Christian Book Distributors, in case you are interested, is a more up-to-date language style. Same devotions, yet easier to understand. But you know, I think the Lord meant me to chew. I have told Him that I want to KNOW HIM MORE. Reading, meditating on His word, and conversing daily, even moment-by-moment is the only way to fully know Him more! I hope and pray you have a blessed Friday—a gloriously peaceful weekend and thank you—for stopping by my place for a visit! You have no idea how much I appreciate my friends and sisters in Christ! Be sure and head over to Laced with Grace (don’t forget the give-away) and Gina’s place! So much to do! *After next week, I will share what this meant to me this week. Are you in suspense? Good. I am too! This entry was posted on Friday, January 9th, 2009 at 1:01 am	and posted in Devotion, Laced With Grace. You can follow any responses to this entry through the RSS 2.0 feed. I have known a few saints like that, who only leave impressions of Jesus wherever they go. Most of them have no idea the mark that they have made on my life. I sooo desire for my relationship with Him to increase to the point where there is not enough of me left to blotch things up. I have this devotional also and i really like it. For being written so long ago it still talks to hearts today.Smiles! I just have one question: HOW in the name of heaven do you do it all??!!?? Have a great weekend! Angie, This was a wonderful message. Definitely one to chew on. I will share this message with others.Bless your heart for caring! You’ve touched my heart and made me think AGAIN! Thank you for this post, dear friend. Bless you for helping me focus more on my Jesus….I love you! Angie, I wrote that same paragraph in my journal from jan 7th!I keep going back to it too!What really kept coming back to me was “when once we get intimate w/ Jesus we are never lonely, we never need sympathy, we an pour out all the time without being pathetic.(!!!!) only impressions of Him…strong sanity. I thought cool, calm and collected-perfect trust!If I feel fried, I am not drawing my all from Jesus…Oh for grace to trust Him more.Blessings sister!